Scott: Who stacked the firewood ring? Cassie: True. But watch out. I’m a very sophisticated farmer. I can go all “city” on you at a moment’s notice. Scott: I guess so. (Examining the firewood ring.) How come you didn’t stack the firewood all the way to the top of the ring? There’s… like… a space. Cassie: Because. A rather large log slipped from my grasp and crashed onto my foot. It hurt a lot. I got mad at the wood. Scott: You got mad at the wood? 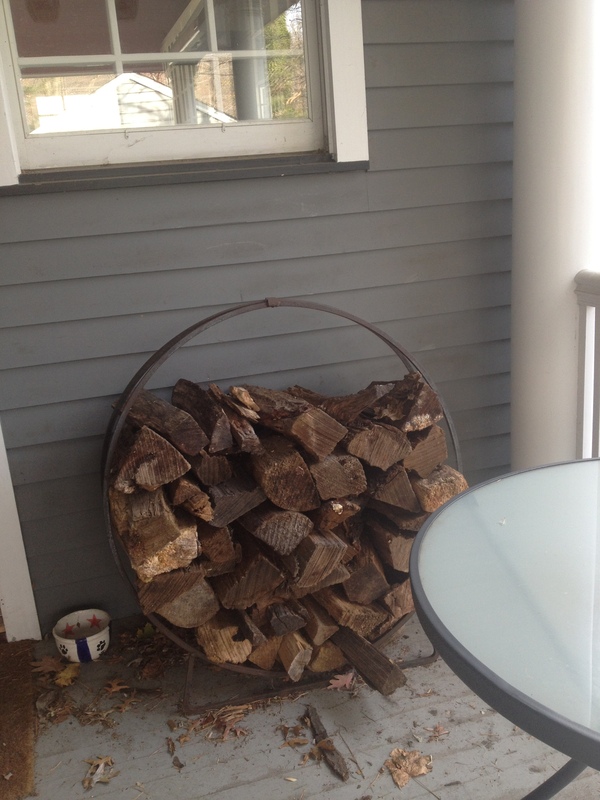 Scott: Sounds like “City Girl” won out in the wood stacking project, huh?